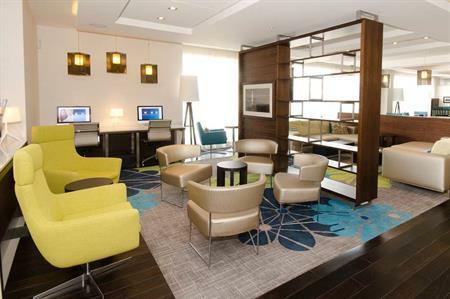 A Courtyard by Marriott hotel has opened at Aberdeen airport with meeting space. The 194-room Courtyard by Marriott Aberdeen Airport hotel has a 40m2 meeting room and is a five-minute walk from Aberdeen airport. It is also six miles from the city centre and close to the Aberdeen Exhibition and Conference Centre. The hotel also has a restaurant, gym, business lounge and free wi-fi. Amy McPherson, president and managing director for Marriott International in Europe, said: "We are excited to welcome the Courtyard Aberdeen Airport Hotel to our portfolio in the UK. We are confident that the new Courtyard European design will better meet the needs of our guests and help fuel expansion of the brand across Europe."